Plywerk is changing. Now before you react, don’t worry. It’s not as scary as it sounds. Sometimes change is good. And this is one of those good changes. We’re referring to the recent opening of the Plywerk Art Store. 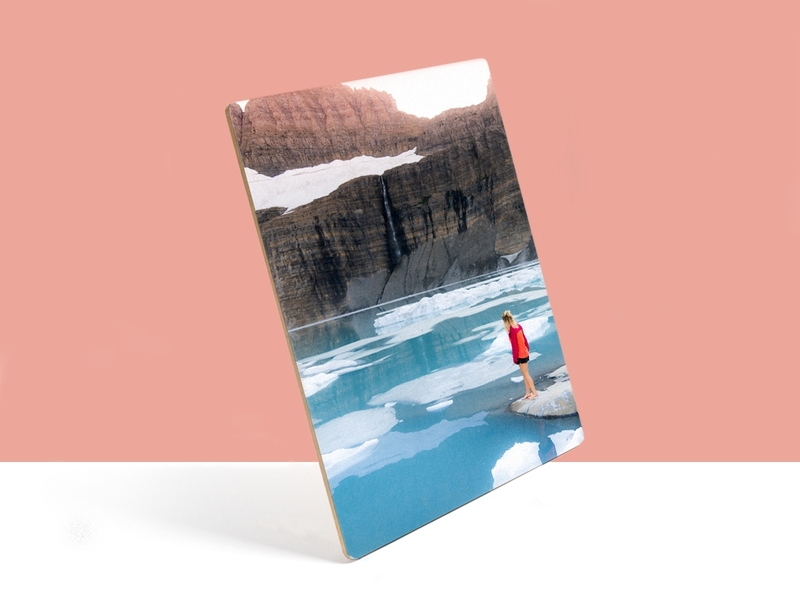 If you haven’t already checked it out, the Art Store is a curated gallery of photos mounted on wood Plywerk panels, just waiting to be purchased by you fine people with impeccable taste. It’s all still very new and exciting. We’re absolutely thrilled to be partnered with some of the finest artists and photographers in the country. So share our excitement and have a look today! to the Plywerk Art Store to purchase. The newest photographer to join the Plywerk Art Store is Chris Burkard. In the world of outdoor photography, Chris is a king among men. He’s an accomplished young photographer, but don’t hold his youth against him. Hailing from the Central Coast of California, it’s no surprise that the ocean inspires much of his work. He specializes in surfing photography, but he’s also got an impressive portfolio of all sorts of landscape and travel. You might call his work unreal, but he assures us that it is all quite real. "Tahitian Dream" by Chris Burkard looks amazing on Plywerk and can be purchased in our Art Store. If you’re a thrill-seeking adventurer, like Chris Burkard, you’ll love his stuff. And if you’re not, there’s still a good chance that you’ll love his stuff. He captures amazing scenes from all over the world. It will probably inspire you to all sorts of greatness. It’s that powerful. Every print in the Plywerk Art Store is made by hand in Portland, Oregon using the very best materials we can find. We love to turn your photos into art, but we’re also happy to play matchmaker between customers and these incredible artists. We love working with such talented photographers, and nothing makes us happier than bringing good people and good art together. This entry was posted in Photography and tagged Art Store, bamboo photo mounting, Outdoor Photography, photo mounting, wood photo mounting on April 30, 2014 by admin. Spring is in the air which means love is in the air which means everyone is getting married. It might rain a lot in Portland, Oregon, but right around this time of year, we enjoy some of the most beautiful scenery of anywhere in the country. It’s no wonder there are so many fantastic outdoor wedding venues around Portland. So with wedding season upon us, let’s take a look at some of our favorite outdoor wedding locations. Wind Mountain Ranch has stunning views of the Columbia River Gorge and surrounding mountains. Bridal Veil Lakes is another scenic spot in the Columbia River Gorge. Here, you can say “I do” by the spring-fed lake and then ride off into the sunset on a canoe. The Mt Hood Bed and Breakfast has gorgeous views of what else - Mt. Hood! Mt Hood Bed and Breakfast is a romantic place on the shoulder of Mt. Hood. It has breathtaking views of Mt. Hood, Mt. Adams and Mt. Rainier. The property itself is decorated with gardens, orchards, ponds, gazebos, and fields of wildflowers. Oregon Golf Club in West Linn has views of the Cascade Mountains off in the distance as well as the lovely city of Portland. Mt Hood Organic Farms provides a secluded natural setting for an outdoor wedding. Enjoy those gorgeous mountain views and the relaxing park-like atmosphere. Hopefully if you’ve learned one thing today it’s that you can’t beat the views in the Pacific Northwest when you’re having an outdoor wedding. Whether you’re a guest or part of a happy couple, a wedding in Portland is a beautiful thing. And like all beautiful things, remember to take lots of pictures. But remember - a picture isn’t real until you can hang it on a wall. But we can help you with that. This entry was posted in Photography, Portland Travel Guide and tagged outdoor weddings, Portland weddings on April 25, 2014 by admin. Portland, Oregon is a city with character. Some of that character comes from naked bike rides. Some of it comes from our love of artisanal everything. And some it comes from the streets. Literally. Some of our street names actually ARE characters. (Have you heard about the Simpsons characters inspired by street names in Matt Groening’s hometown of Portland? Don’t worry, I’ll point them out along the way.) So, just for kicks, let’s talk about some of the best street names in Portland. Couch St.: This street also serves as a little test. You can tell who just moved here, or who’s from out of town with this one little word. In Portland, Couch isn’t Couch. That’s because it’s pronounced “cooch.” Now you know. Talk like a Portlander. Quimby St. : This one’s got a nice ring to it. And does it sound a little familiar? That might be because Mayor Quimby leads the fine people of Springfield on the Simpsons. It’s also worth noting that Beverly Cleary is from Portland, too. Remember Ramona Quimby? Never heard of Beverly Cleary? Were you never a child?? Yamhill St. : When I first moved to Portland, I dreamed of living on a street with a name as silly-sounding as Yamhill. I haven’t done it yet, but I’m still dreaming. Just say it a few times. Yamhill. Yamhill. It’s great, right? Going St. : This is just a street that’s asking for some sort of delightful “who’s on first” hijinks, don’t you think? So there you have it. Just a few of the streets that make our city special. Among other things. And whether or not you live in Portland, it’s nice to show your city some love. 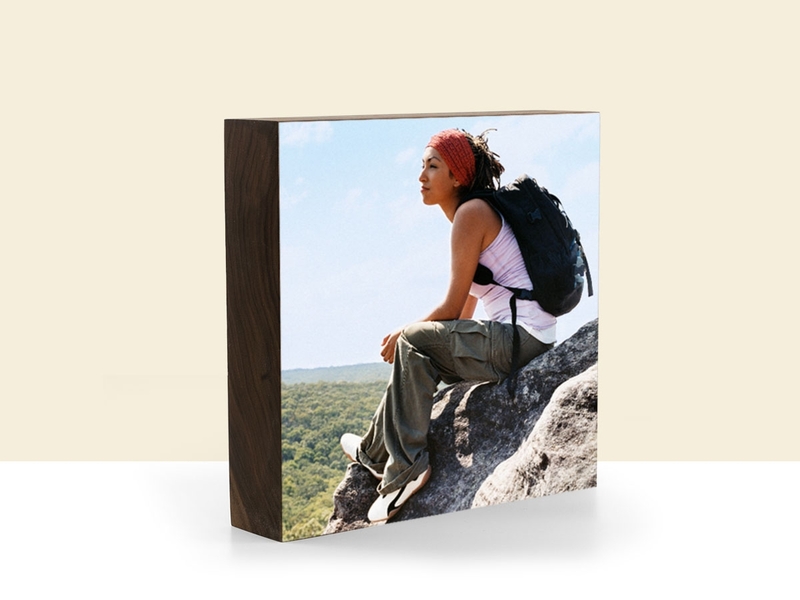 It’s easy to make a Print on Plywerk that showcases the unique beauty of your homebase. This entry was posted in Portland Travel Guide and tagged portland, travel photography on April 24, 2014 by admin. If you pay attention to our blog, watch commercials, use the internet, or read the covers of magazines while you’re in line at the grocery store, you probably know that Mother’s Day is coming up. You might also know that Plywerk is holding a Mother’s Day photo contest, but the Mother’s Day festivities don’t stop there! That’s because moms are very, very important. None of us would be here if it weren’t for moms! Think about that. Pretty spooky, huh? We're having a Mother's Day Sale! Use the discount code WELOVEMOM for 20% off. Anyhow, just to show you (and your mom) how much we care, we’re having a Plywerk Mother’s Day Sale as well! The Mother’s Day Sale will run through May 1st. (We know that Mother’s Day is May 11th, but our happy little Plywerk elves need a little time for turnaround, you see.) But if you’re looking for a cool gift for mom this year, you can save 20% off your order with the discount code WELOVEMOM. We’re working as fast as we can, and we already cut our turnaround time just to make more Mother’s Day dreams come true. We’re giving you the gift of time. That’s more time to place your order or perhaps more time to place another order when your husband tells you that he doesn’t have anything for his mom and could you maybe help? Maybe your mom is really into going green. Plywerk is the perfect gift for green moms. And maybe your mom just loves pictures of her family. Who doesn’t? Either way, we can help you to create beautiful, thoughtful, personalized gifts for Mother's Day. 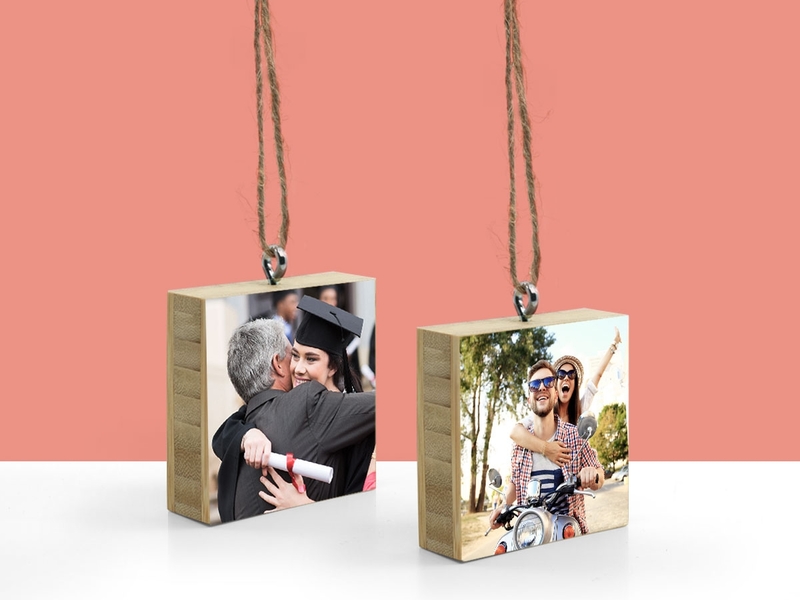 Order a Print on Plywerk and we’ll put a cherished family memory on gorgeous eco-friendly bamboo. And if you don’t wait until the very last minute, you can save 20 percent! So make your mama proud. And make her happy with the gift of Plywerk. This entry was posted in Holiday Gifts and tagged green gifts, Mother's Day, personalized gifts, photo gifts, sales on April 23, 2014 by admin. Plywerk is proud to be green. We’re one of those cool, independent, green businesses you’re always hearing about. But what we now think of as ‘being green’ really began as the environmental movement. And it was introduced into the mainstream with the first Earth Day in 1970. At Plywerk we recognize and appreciate the gift of our existence. We see it as our responsibility to treat all people with dignity and respect and to be stewards of the planet during our time here. The times, they were a-changing back in 1970. A lot of things were happening that year. In America, we were in the middle of the Cold War, the Space Race, and tension over Vietnam was heightening. It was a pretty scary time for our country. But it was a good time to step back and take a look at how we treat each other and our planet. Despite the groundbreaking publication of Silent Spring in 1962, most Americans were not all too concerned about environmental issues, even by 1970. For the most part, we didn’t worry about silly things like fuel efficiency in automobiles or toxic waste created from manufacturing. Plants and factories released massive quantities of harmful pollutants into our water and our air with no worry of legal consequences, public health, or even bad press. Pollution was just accepted as the cost of doing business. People, not even celebrities, weren’t talking much about the environment. But today, we’re all talking about the environment. Well, maybe not all of us. But all of us at Plywerk. Have a look at our More Than Just Green page to see our efforts. And even if you’re not talking about the environment, you’re probably hearing about it. And we think that’s a great thing. Today, Earth Day is the largest secular holiday in the world, celebrated by more than a billion people each year. But not all businesses are committed to being green. It’s easier to make money when you’re not so concerned about the world. So the next time you’re shopping around for a birthday present or a housewarming gift, think about choosing green businesses. 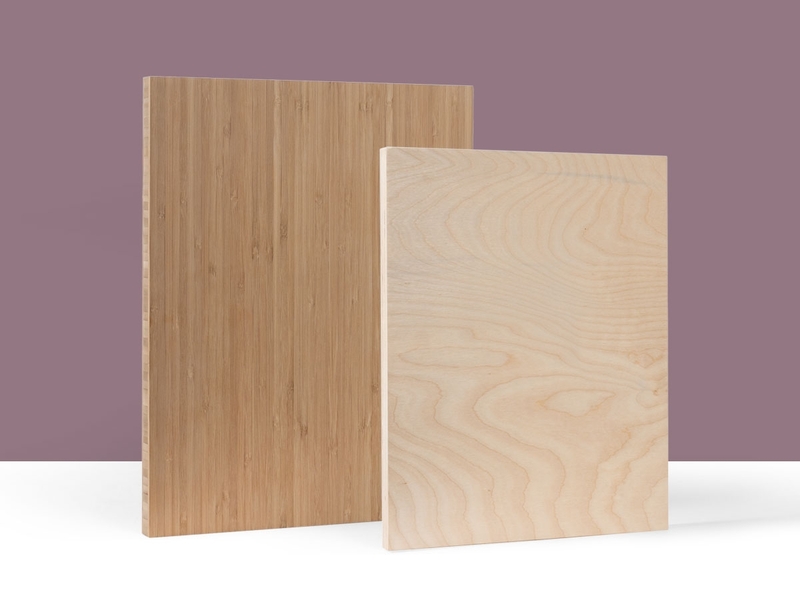 Give the gift of Plywerk and the Earth will thank you. This entry was posted in Eco-Conscious and tagged Earth Day, green businesses, green gifts on April 22, 2014 by admin. Plywerk is striving for a B. But before you tell us to buckle down and work harder, you should know that it’s a good thing. This isn’t like trying to get a B in 11th grade American History. We’re not underachievers here at Plywerk. You see, we’re shooting for a B that will designate us as a B Corporation. If you’ve never heard of a B Corporation, you might be scratching your head right about now. Stop! Don’t muss up your hair! What is a B Corp? We can explain. Plywerk is striving to be a B-Corporation. To give you a tasty little analogy, B Corp is to business what Fair Trade certification is to coffee or USDA Organic certification is to milk. Does that help? Wait a minute. Now we’re doing analogies? This is starting to feel suspiciously like high school. But stick with me here and I’ll save you a spot at a good lunch table. B Corp certification is issued by B Lab. This United States-based non-profit organization judges for-profit businesses on social and environmental performance, accountability, and transparency. In order to get certified, businesses have to obtain a minimum score on an online assessment for high social and environmental performance. This all sounds good to us at Plywerk. That’s why we’re in the business of selling eco-friendly products made in the United States. Being a B Corporation means being one of the good guys. It means that your business cares about the environment and about people too. B Corps are businesses that don’t just care about business. As a B Corp, a business has the ability to create higher quality jobs and improve the quality of life in the community. And, as the movement grows, it becomes an increasingly powerful agent of change. Which means we all get to sit at the cool table. It’s hip to be B. This entry was posted in Eco-Conscious, More Than Just Green and tagged artisanal manufacturing, eco-conscious, eco-friendly, Portland Local Businesses on April 19, 2014 by admin. As you people with calendars probably know, Mother’s Day is coming up soon. Maybe you’ve thought about it and maybe you haven’t. But now that you’re definitely thinking about it, it seems like a good time to mention that Plywerk is holding a Mother's Day Photo Contest. That means it’s time to take a trip down memory lane! Now, we don’t know all of your moms personally, but we still think that this is a contest your mom would approve of. Of course, we can’t be sure. But we think she’ll like this contest more than the ones you had as a kid because it doesn’t involve loud yelling or throwing objects at the dog. No, this is just a safe, quiet photo contest. All you really need is a photo and a can-do attitude. In order to enter, we simply ask that you share and comment on an image of your mom. Just find a frame-worthy memory of your mama and give it a whirl. It’s simple. It’s pain-free. And you can submit your entry via Facebook or Instagram. Just remember to use the hashtag #plymomsday to enter. And don’t dilly dally because the deadline to enter the contest is May 11th. So give it a shot. There’s nothing to lose and plenty to gain. Specifically, the lucky winner will walk away with our Maggie magnetic photo frame. And that’s the large size. And of course, they’ll also get a printed version of that winning photo. But even if you don’t win our Mother’s Day Photo Contest, you can still be a winner. You’ll almost certainly feel pretty victorious when you buy a Maggie for mom. 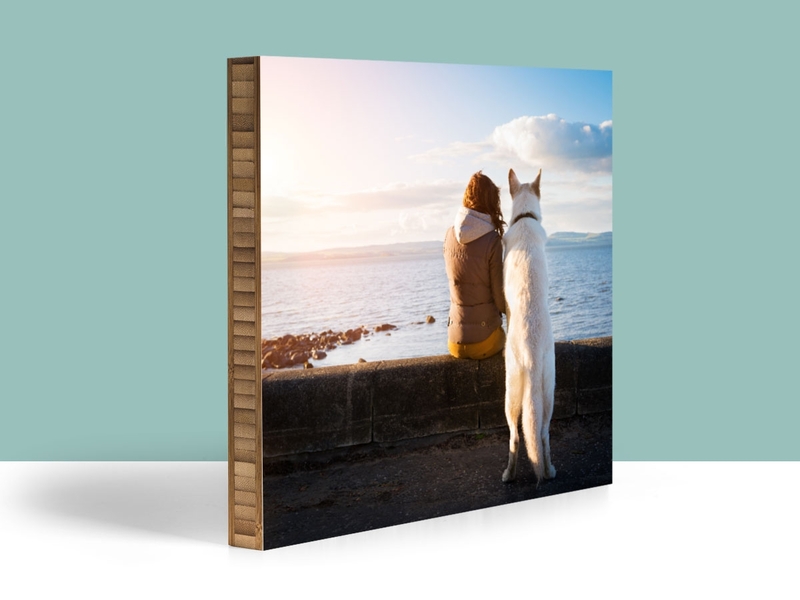 Or perhaps you’ll consider ordering a Print on Plywerk so that you can put that beautiful memory on bamboo. This entry was posted in Contests, Holiday Gifts and tagged eco-friendly picture frame, home decor, mother's day gift, prints on wood on April 18, 2014 by admin. We see a lot of lovely photos here at Plywerk. But we don’t always know the full story behind those photos. They say a picture is worth a thousand words. Well, we say let’s hear some of those words every now and again! When you see a powerful image, wouldn’t you like to know the story behind it? Of course you would! So we’re going to give the people what they want! Now let’s all gather round for a little Plywerk storytime. A basket of eggs and a beautiful pear shot at the Heirloom Harvest Barn Dinner. Today we’re featuring the work of photographer and Plywerk customer Enna Grazier. Enna makes up half the team at Grazier Photography, which she runs with her husband. They offer artistic photography for wedding and portrait clients throughout New England. These shots by Enna Grazier capture details from the Heirloom Harvest Barn Dinner, an event produced by local farmers and chefs who collaborate to create a wonderful locally grown meal. It benefits the Heirloom Harvest Project. the mission of which is to promote regional heritage foods and agricultural diversity. It also works to strengthen the important connections between farmers, chefs, and consumers in the community. Heads of garlic and Famer Chuck Cox displaying his Gilfeather Turnips. Farmer Chuck Cox is considered to be the granddaddy of organic farming in New Hampshire. He and his family have developed and practiced sustainable farming methods since the 70s, and they've helped countless other farmers establish sustainable farming practices. Chuck Cox is an innovative farmer, and he has been instrumental in resurrecting many heirloom seed varieties thought to be lost. He’s shown holding a bunch of the beloved Gilfeather Turnips. If you have a story of your own that you’d like to tell, order a Print on Plywerk. Put your best images on our best materials. We’ll help you tell a tale with beautiful prints on wood. It’s a story that never gets old, don’t you think? This entry was posted in Photography and tagged bamboo photo mounting, Prints on bamboo, prints on wood, wood photo mounting on April 17, 2014 by admin. Folks in Portland, Oregon can’t resist a good hike. We’ve all got our favorites, so today we’re going to share some of ours. We present to you a Plywerk guide to the best hikes in Portland, Oregon. (Or around Portland, Oregon.) So take a hike. And when you take that hike, also take some pictures. Make that view at the summit all worthwhile. And later, you can order a print on Plywerk to prove what you did! Angels Rest is your standard uphill climb with a very worthwhile scene at the top. And you know when you reach the top because it’s a truly breathtaking view of the Columbia River Gorge. Bring a lunch or a snack because you’ll want to relax and take in that view before you go back down again. Triples Falls Hike has spectacular scenery and is only a short drive from Portland. Triple Falls is a lot of bang for your hiking buck. This trail is just over 4 miles, but delivers not one, not two, but three magnificent waterfalls. (The name probably gave it away.) This sort of scenery is what being in the Pacific Northwest is all about. Tamanawas Falls is beautiful in the summer but far less crowded and just as picturesque in the winter. Tamanawas Falls on Mt. Hood is a very popular hike for good reason. Located near the eastern base of Mt. Hood, it’s a pretty easy hike leading to a great broad waterfall, complete with a dry cave. This scenic path along Cold Spring Creek is also good for families. Saddle Mountain is a five-mile round-trip hiking trail on the Oregon Coast that offers plenty of dramatic views of the Pacific Ocean. And the payoff is big. On a very clear day you might also get views of Mount Rainier, Mount Saint Helens, Mount Hood, Mount Jefferson, Astoria Oregon, and maybe even the Olympic mountain range in northwest Washington. Pittock Mansion Hike is a great hike for you homebodies. It’s one that you can do without even leaving the city. Enjoy the creek, the lush forest, and when you arrive at the destination, a historic Victorian mansion. It’s one of the best views in the city, overlooking all of Portland, and depending on the weather, a spectacular showcase of Mt. Hood. This entry was posted in Portland Travel Guide and tagged hiking, Outdoor Photography, travel photography on April 16, 2014 by admin. From time to time, we open our doors to welcome visitors for a tour of Plywerk headquarters. It’s not wholly unlike a tour of the Wonka Factory. Sure, we don’t have a chocolate room and our eccentric owner has a comparatively understated wardrobe. But on the plus side, members of Plywerk tours are not eliminated one by one, nor are they subjected to catchy morality songs. But, still, we like to think that in many ways, it’s just as magical. We’re always happy to meet members of the public and organizations interested in lean manufacturing and eco-friendly businesses. Portland Development Commission members get a tour of the Plywerk min-factory to see how we use the urban space. We recently hosted a tour of Plywerk headquarters, giving us a chance to educate more people about our company and the lean business process. This particular tour group included members of the Portland Development Commission. The PDC is collecting data as part of the city’s larger undertaking of developing a long term vision for the Central Eastside. Their aim is to look into the future to understand what the needs of the district’s industries will be by 2035. We’ve got a good home here in the Southeast industrial district. Plywerk is proud to contribute to the vibrant entrepreneurial spirit here in Portland’s Central Eastside. Close to both the waterfront and downtown Portland, our area is an increasingly important player in our city’s economy and industry. The Portland Development Commission was created in 1958. They’re focused on investing in the job creation, innovation, and economic opportunity that will transform Portland into one of the world’s most desirable cities. Of course, we think it’s pretty desirable already. But we’re all a little biased. Next time you’re in the neighborhood, feel free to pop in and say hello. You can check out the Plywerk Retail Store, and we might even be able to arrange a little behind the scenes tour for you as well. But remember, we deal mostly with wood, so don’t come expecting a chocolate waterfall. This entry was posted in Behind the Scenes and tagged lean manufacturing, Portland Local Businesses, retail shop, Southeast Portland on April 13, 2014 by admin.